Welcome to Merton Windows and Doors Ltd! 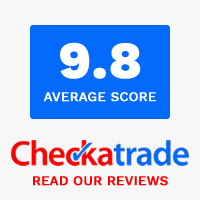 If you are looking for reliable and professional double and triple glazing specialists in Chislehurst and Elmstead, then we are the team to help. We offer our expert services throughout your local area and our team has over 50 years’ experience in the trade. We can provide you with innovative solutions and products to match your project requirements, however small or large. We are renowned for meeting our customers’ expectations in terms of product performance, durability and fitting. Renovations: Are you renovating a property and need help with your double glazing? We can help you select the perfect windows, doors and other glazing for your project. 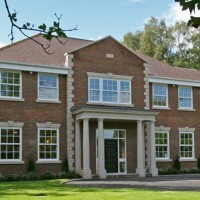 Construction: We work with local construction companies, supplying and fitting windows and doors into new build developments. 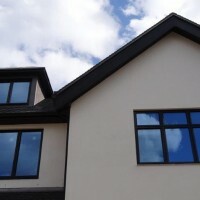 Home: Are you looking for replacement windows for your home? We work with hundreds of homeowners every year and whether it is a single window or complete refurbishment job, we are ideally placed to help. Read our blog about what types of windows are best for homes with small children. Our team of enthusiastic and talented staff approach every job with care, attention to detail and a personal touch. From helping you select the perfect new windows for your needs, throughout the installation process and beyond, we will go the extra mile to ensure that our project is delivered smoothly. All jobs are tailored to meet the requirements of the customer and products that meet, if not exceed, British Standards. We install a wide range of windows from market-leading manufacturers, such as Kommerling and Pilkington Glass, including uPVC windows, timber windows, aluminium windows, sash windows and Residence 9 windows. Merton Windows is your one-stop-shop for all your glazing needs and we also supply and install the latest doors, roof lanterns, conservatories and porches, all made to measure. All windows are designed to provide strength, superior thermal performance, security and longevity. Suitable for commercial or domestic applications and both the replacement and new build sectors, every product that is supplied and fitted by our team is backed up with a 10-year guarantee. For more details about how our FENSA-registered business can help you, please call us on 0208 542 2233. Our uPVC windows will make any property warmer, quieter and more secure. 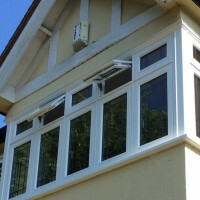 Durable and low maintenance, every window that we supply and fit is designed using the latest energy saving technology and security features, so whether you are looking for replacement windows for a house renovation or new windows to save energy and fuel costs, our uPVC double and triple glazed windows will do the job. uPVC windows remain a popular and classic choice because they will never fade, rot or rust and are available across a whole range of styles, including casement windows, tilt and turn windows, Bay windows and sash windows, among other styles. They are also available in a wide range of colours and finishes, including authentic woodgrain finishes. Double glazed windows guarantee energy and efficiency and if you are looking for additional warmth and noise reduction, we also supply and fit state-of-the art triple glazed A++ rated uPVC windows. These contain an extra glass panel, which will further enhance energy efficiency and are a top choice for cutting out external noise, if you live in a busy area. Some people choose triple glazed windows in rooms that do not receive much sunlight because they offer the best insulation. 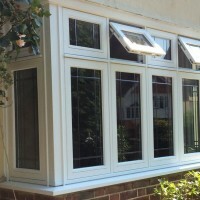 Are you thinking about aluminium windows in Chislehurst & Elmstead? Sleek and light, aluminium is a modern material that offers many glazing benefits. Endlessly recyclable, energy efficient and high performing, they are some of the most long-lasting windows available and offer unrivalled flexibility when it comes to size and design. With over 150 RAL colour choices, they are also perfect in all types of properties. For all bespoke new and replacement windows in Chislehurst, call our window fitters now! If you would like to know more about our supply and fit of windows, ring us today on 0208 542 2233, email [email protected] or fill in an online contact form and we’ll be in touch shortly.